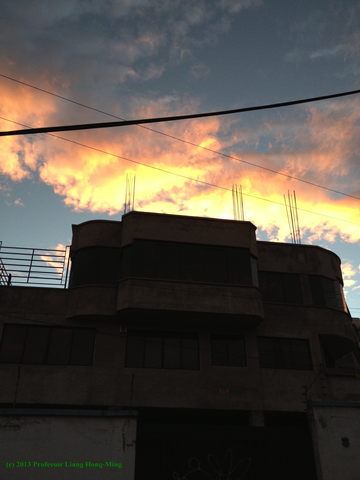 As I write this, I will be coming to the end of my 3 third week here in Quito, Ecuador – my home for the next few months. It has all been very interesting so far and I am already developing a sixth sense for the Latin American lifestyle, including a higher use of the local Spanish language, so bear with me and pardon any Spanglish, please. I would like to start my series on Ecuador with the MGJ by introducing some of the generalities that make up Quito and that I live with from day to day in the big city. First of all, I am living with a family here and it has been quite the change, not only culturally, but also due to the fact that for the past two years I have been living the life of a parent-less college student along with other parent-less college students, and that’s another story in itself. Nonetheless, integrating into a foreign family has been very enjoyable and also very difficult and annoying at times, from eating delicious family meals and sharing great stories, to having to tell mi mamá when and where I’m going and using my favorite word, qué (what? ), one thousand times daily. I would have to say I experienced some serious culture/family shock shortly after my arrival and I was worried I would never grow accustomed to this new world. But, as of now I am great! Communication has been a very key instrument to understand and respect the foreign home I live in. Now, I will begin to broadly work my way through Quito from the outside-in. Quito is the capital city of Ecuador, which gets its name from its close proximity to the equator line, splitting the northern and southern hemispheres in half. It is a rather long city located in a valley surrounded by the slopes of the Andes at an altitude of around 9,300 feet and with a population of over 2 million. Shortly after my arrival, along with the culture/family shock, I struggled to acclimate to the increased population density and altitude while often being short of breath; it is a very different atmosphere compared to my home in Duluth, Minnesota. 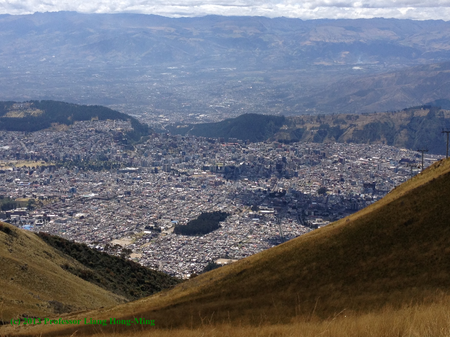 Quito is a very dense and lively city with buildings in fairly close proximity to one another. The average middle class family often lives in an apartment complex that can provide a simple, yet comfortable setting to call home. I have found that every complex, house, or any building for that matter, has its own wall to separate it from others as well. 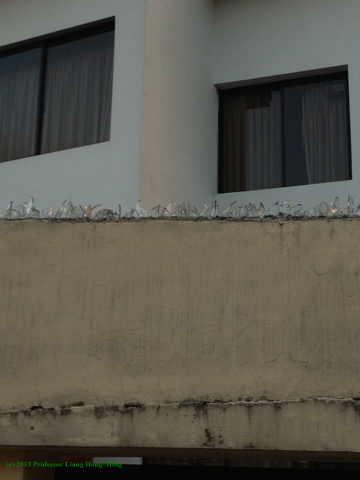 There is a strange desire to protect from the danger of intruders and each wall is topped with shards of glass and each window, regardless of its level, has metal bars. After discussing this phenomenon with my host mother, I have discovered there is a high percentage of theft here, which logically leads to these seemingly extreme measures. I have really noticed the chance of theft while using the public buses. The buses are very frequently used and are often packed to the brim. And by packed to the brim I mean packed… The bus will be full and people will manage to push their way in. Unfortunately, this creates a perfect environment for thieves, in which they search your pockets or bags without you knowing. One of my classmates has already received a nice cut straight through her backpack. Luckily, nothing was stolen. 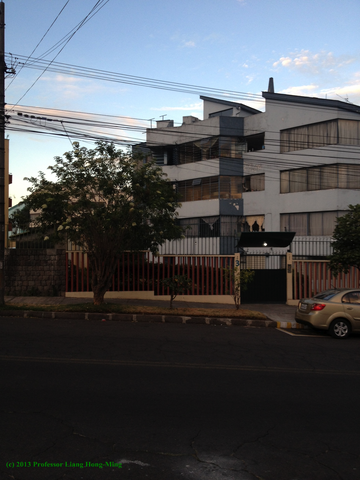 There is also a strong lack of wealth in Quito. It is very normal to see unfinished homes and other buildings that still have the re-bar poking out of the top of them. People will generally wait until they earn enough money to add on another floor or another room to finish their homes. 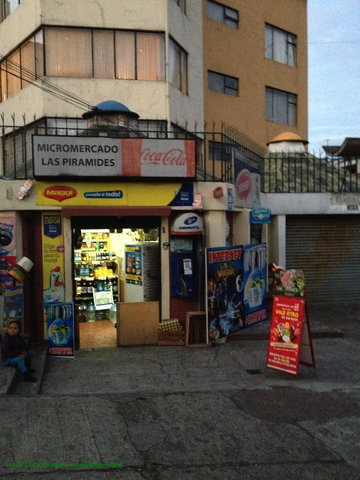 Furthermore, the streets are always full of little tiendas called micromercados, or general stores. These small stores often have everything one would need from basic groceries to Internet access. Although supermarkets are on the rise in the northern, more modern section of Quito, these little stores are very popular quick stops amongst those who pass by them. And due to the steady spring type climate here, the majority of stores and restaurants are open-air to the streets, meaning they have rather large doorways and are closed with a door similar to a garage door. 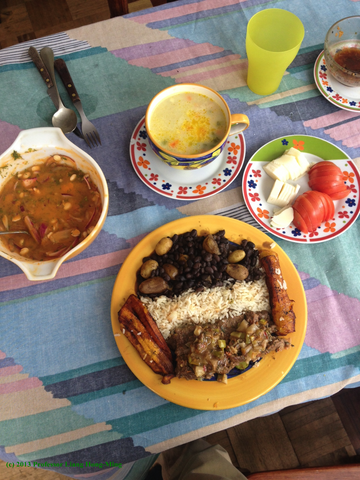 Lastly, I would like to leave you with a little information about the local food in Quito. Being that Ecuador is a subtropical climate, there is an endless supply of fresh fruits and vegetables. The majority of the dishes are started with a bowl of soup and have entrees that include avocados, potatoes, rice, bananas, and either beef or chicken. My host mom also enjoys making rather delicious fruit smoothies from fruits like watermelon, papaya, mango, etc. I can think of many areas where barred windows are a common occurance but the glass topped walls really surprised me. How are they attatched? This reminds me of metal spiked fences and walls in Duluth which, as far as I know, are now used mostly to keep pigeons away. It is very concerning how many places still exist where people live with so much fear, even within their own homes. My best friend spent 3 weeks living with a host family in Mexico over winter break, and while I was reading this, it sounded like you guys had very similar experiences. I found it really shocking and little scary how someone cut through a backpack on the bus, that really does show how common theft is there. After taking 5 years of spanish in high school, it has always been a fantasy of mine to live with a host family in South America for a period of time. Maybe some day I will actually get the courage to do it. It sounded like it was a great learning experience for you, and after reading this it made me want to look into it even more. The experience described sounds fascinating. The food also caught my eye at the end. It looks good with all the fresh ingredients. I think it would be hard to experience such a different culture, but also would be an amazing experience. 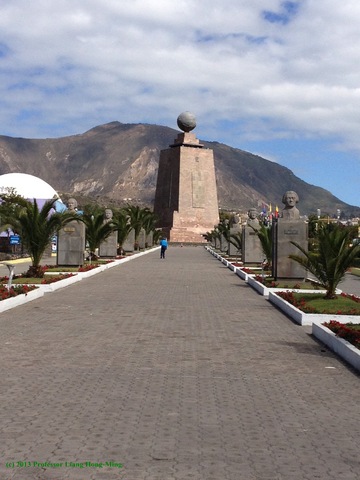 I have always wanted to visit Ecuador so this was awesome to read. I found it very interesting that they put glass shards on top of the walls, it is a cool concept but also pretty scary in the way it looks. I also found it intriguing that there is a spot that is in the middle of the world, that would be a sight to see and just a good experience to say you’ve been there. I’m glad to hear that you got more used to the people and culture there, as it probably made for a better experience for you.